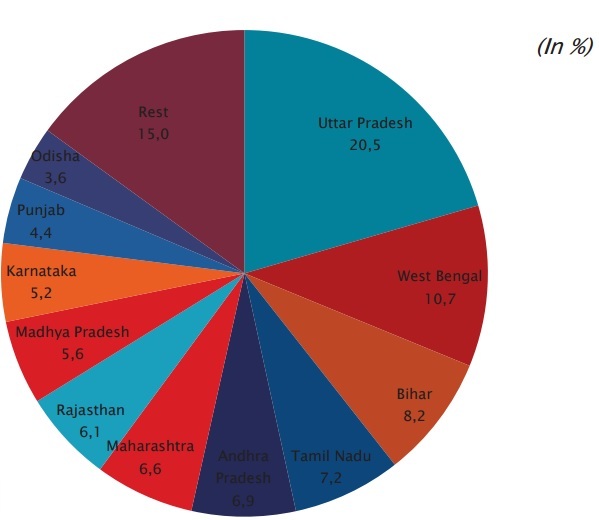 According to the 2011 population census, the share of the total population of scheduled castes in country's population is 16.6%. And by 2015, the estimated total population of scheduled castes is around 21.76 Crore. You always think about the states with highest Scheduled Caste population. I am making your job easy by listing The Top 10 States with Dalit Population. इस आर्टिक्ल को हिन्दी में पढ़ो! !